Fill 1/2 cup water in a big bowl, put instant yeast and leave to form bubble for 5 minutes. Add sugar and and oil and stir well. Sieve in flour and knead till form an elastic ball, at least 10 minutes. Add water 1 Tbsp at a time to make the dough more moisture. The dough should threaten to stick to the bowl so that the dough will be soft after cook. In a separate bowl, spread oil around the bowl and put the dough kneaded in the bowl. Brush some olive oil around the dough and cover with bowl with cloth. Leave the dough to proof till double it size, around 1 hour or so. Cooking method (I am using a traditional rice cooker, you may need to adjust the cooking time based on the type of rice cooker you are using). Preheated rice cooker, press cook once. 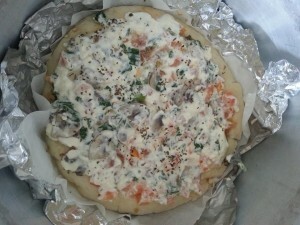 Once the button release, put the flatten pizza dough to cook. 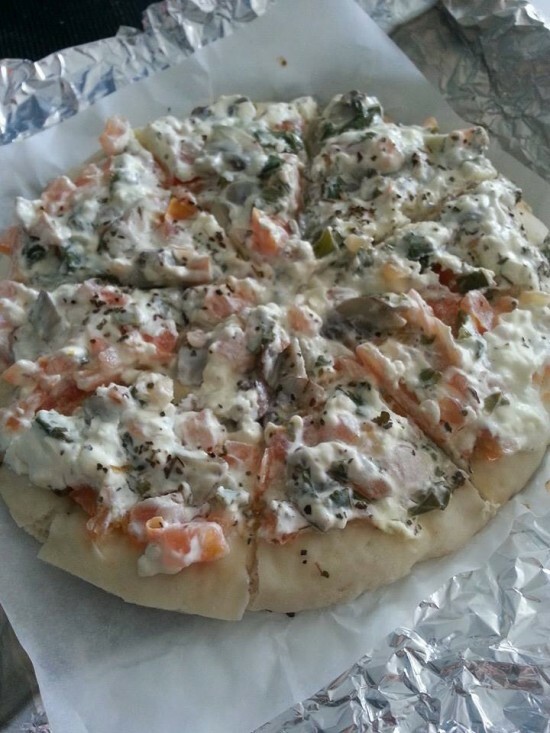 Press cook twice to cook the dough. Once cook remove from the rice cooker, and flip over. 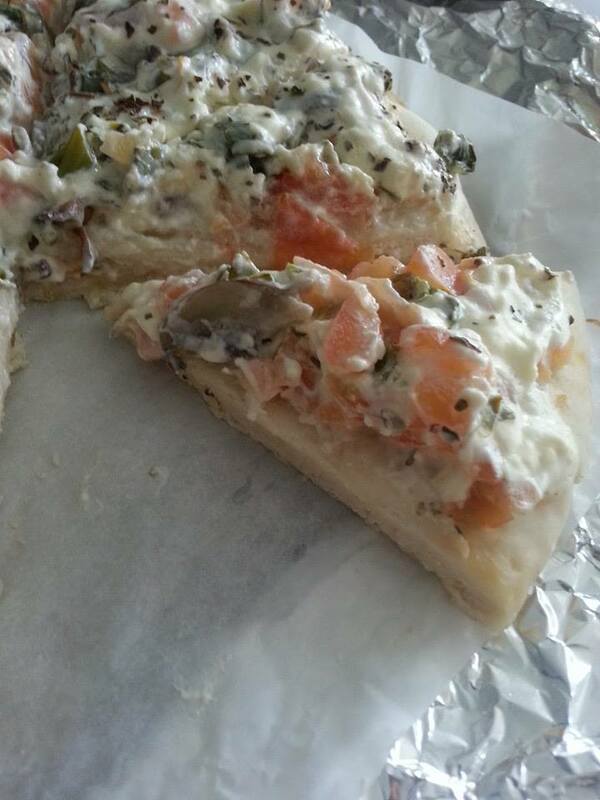 Top with ingredients, in sequence: spread oil, 1 Tbsp cream cheese, tomato, mushroom and green leaves. Mix the balance of cream cheese with yogurt and spread on top of the ingredients. Add dash of basil leaves on top. Put the pizza back to rice cooker to cook. Press cook twice to cook the pizza. Once the cooking button release, wait for 10minutes before removing the pizza. Serve hot.